It’s that time…..its March Madness and Spooky Express is once again your College Basketball headquarters for the NCAA Tournament! We have all of the information that you will need to get you started with picking a winning bracket in the 2019 NCAA Tournament! Each day, throughout the NCAA Tournament, we will have individual game breakdowns with free plays. Make sure you check out the entire article below, as we have a plethora of information within this article including conference seeds, team breakdowns, opening odds in the first round, where to play Bracket Challenges and much more! I’m certain that throughout the year, you’ve heard about this team called the Duke Blue Devils and their 4 freshman players that are taking the world by storm. They are pretty good and now that they are getting healthy, they are pretty much dominating. The Blue Devils already have wins over the likes of Auburn, Texas Tech, Florida State, Louisville, Virginia and North Carolina. Their regular season experience is tremendous and their success against these higher caliber talent teams is part of the reason they were the #1 overall seed. The Blue Devils rely heavily on their top player, Zion Williamson. Williamson returned to play in the ACC Tournament and he looked like he hadn’t missed a beat. Williamson was out for several weeks due to a knee injury that he received from blowing out his shoe and turning his knee the wrong way. When Williamson is out, the Blue Devils are a GOOD team but with him on the team they are GREAT! Williamson is a freshman but he is already being talked about being the #1 overall draft pick at the end of the year. He is the most dominating player in College Basketball and the Blue Devils are going to be tough with him in the lineup. Duke may be the #1 overall seed but they are not unbeatable. They have lost 5 games this year so there is a means to beat this team. The other thing that scares us with Duke is the fact that they are a young team. In the NCAA Tournament, the experience is worth its weight in gold and these 4 freshmen may be in over their heads here! Additionally, you may not realize this but Duke is one of the worst teams from the 3-point line in the entire country! They rank 338th out of 353 D-I teams from the 3-point line and if they fall behind in a game, they may find it hard to recover. The Michigan State Spartans punched their ticket to the big dance by winning the BIG Ten Conference Tournament on Sunday over their in-state rivals, Michigan Wolverines. Their reward….go play in the same bracket as the Duke Blue Devils! Duke is the top overall seed in the tournament and that can not make the Spartans happy. The Spartans have some very strong wins on the resumes this year. They’ve beat Michigan Wolverines 3 times, including the Big Ten Tournament, they beat Wisconsin two times this year, two wins over Iowa and wins this year over Maryland, Minnesota, Purdue, Texas, Florida and UCLA. Needless to say, this team has the experience under their belts this year to go far in this tournament. They are a very balanced team with offense and defense, ranking 38th in points scored and 42nd on points allowed. When the year started, it was Joshua Langford that was all the hype with the Spartans. But Langford went down with a season-ending injury that opened the door for Nick Ward. Ward was expected to take over and become the next big thing…..but again, he went down with an injury. Enter Cassius Winston! Winston has come out of nowhere to become one of the best players in the country and is leading the Spartans with nearly 19 PPG. With most teams, you stop their main guy and you win the battle but with the Spartans, it is truly next man up! They are deep and will go far in the NCAA Tournament. Heading into March, LSU was one of my top teams on the list of teams I figured would contend in the big tournament. That being said, the flood gates opened and now this team will be lucky to make it out of the first round of the NCAA Tournament. The Tigers won the SEC regular-season championship and were rolling right along but then the accusations against Head Coach Will Wade started rolling in and now he is suspended, for an unknown amount of time. That means the team is playing without their leader, Will Wade, that has basically guided them to their 26-6 overall record and 16-2 in the SEC. Tony Bedford will now take over and attempt to lead the SEC Champions into a deep run in the NCAA Tournament. The Tigers are a deep team and have 4 players that are averaging in double-digits. Tremont Waters leads the team with 15.1 points per game, while Naz Reid is averaging 13.7 PPG, Syler Mays with 13.4 PPG and Javonte Smart with 11.5 PPG. If this team can keep their heads on straight and stay focused, they will be a tough team to face but if they are distracted by the recent suspension of their Head Coach, they could find themselves on the other end of a first-round departure at the hands of Yale! The Virginia Tech Hokies enter March Madness as a 4 seed, which in all honestly must have this team truly excited. Most experts in the industry had this team ranked as a 5 or 6, some even low as a 7 seed in the Big Dance but the NCAA Selection Committee felt that the 16th overall seed, was the appropriate placement for the Hokies. The 4 seed is the highest seed that the Hokies have ever earned in the history of the program. They will face the 13 seed St. Louis Billikens in the first round. Many may look at this as an easy game but the Hokies cannot take it for granted as the Billikens have a very strong defense that is holding its opponents to 64.1 PPG, which ranks them 27th in the nation! Probably one of the most exciting factors for the Hokies is the fact that they will get Senior Point Guard Justin Robinson back in time for the tournament. Robinson has missed time due to a left foot injury and the Hokies ended up going just 7-5 without him in the lineup. With him in the lineup, this is a totally different squad and one that can compete with the best of the best in the country! The Mississippi State Bulldogs season came to an end in the SEC Tournament when they lost to the Tennessee Volunteers 83-76. Many of you will recall that we played them here at Spooky Express as our SEC Game of the Year in the game prior when they blew out Vanderbilt. That being said, the Bulldogs earned an at-large bid to play and be the dreaded 5 seed in the NCAA Tournament. This is the 11th time that Mississippi State has made the Big Dance and overall, they have an 11-10 record in the NCAA Tournaments. The Bulldogs have some quality names on their resume this year. They have beaten the likes of Clemson, Cincinnati, Wofford, Saint Mary's and Auburn this year. The Bulldogs are led by Quinndary Weatherspoon. He is averaging 18.2 PPG and is one of the top shooters from the SEC. I hate to say it because I am from Maryland but these Terps are like Dr. Jekyll and Mr. Hyde! You really never know what you are going to get with this team? Will you get the team that can dominate with Jalen Smith and Bruno Fernando down low or will you get the team that lost to non-tournament teams, that are really bad, like Penn State, Illinois and Nebraska! Its really hard to figure this team out. Just when you think they are going to take over games, they get themselves in foul trouble and forced to revert to small ball with Fernando and Smith on the sidelines. They are in good hands when they play small ball, with Anthony Cowan Jr leading the way. Cowan is averaging 16 PPG and is shooting the most 3-pointers on the team. Cowan is shooting 40% from the field and can spread the ball out, dishing out the most assists on the team. The Terps offense is average but their defense is strong! They are ranked 35th in the country and are only allowing 65.1 points per game. Fernando and Smith combine for a total of 539 rebounds this year….pretty impressive, but first, they must find a way to stay out of foul trouble. If they stay out of trouble and stay on the court, this team can go far but without them on the court, this team could be one-and-done! This has been a disappointing year for the Louisville Cardinals. They started out hot but fizzled out, losing 7 of their final 10 games of the season. They have been inconsistent all season long, winning games that they were supposed to win but losing those that were close and against much tougher competition. The Cardinals played 4 games into overtime and in those 4 close games, they were 1-3. Digging deeper, in games that were close and decided by 5 or less points, the Cardinals went 4-6 in the 10 games. This team has potential but they seem to choke in those close games. The problem with that is most March Madness games are rather closely contested and that isn't a good thing for Louisville. Louisville is probably one of the most truly tested teams in the tournament. Louisville has played many of the #1 and #2 seeds in this tournament so seeing them advance with some success wouldn't exactly shock me…..but I wouldn't bet my house on it. The VCU Rams won the Atlantic 10 Regular Season Title and then went into the tournament….and crapped the bed! They were eliminated in the first round by Rhode Island in a major upset. Will that upset play a factor with the Rams or are they able to shake off the bad vibes and move on to the Big Dance! The Rams have wins this year over Wichita State, Texas and Temple, but no real credible wins that make a statement. I just don't see this team going far in the tournament. Maybe I'm wrong but I see these guys being one game and done! UCF could be one of those teams that spoil alot of brackets this year. They are tough to matchup against, mainly because not too many teams have a means of matching up with a 7-foot-6-inch Center like Tacko Fall. In addition to Tacko Fall, Guard BJ Taylor is really good and will pose headaches for the Knights opposition. Do you play man and try to stop Taylor or do you play zone and prevent Fall from playing down low? Pick your poison! The Knights are one of the teams that match up really well against teams like Duke. UCF Head Coach Johnny Dawkins is a former assistant of Coach K of Duke, after serving on the sidelines for him for 9-seasons. Does that give the Knights an added advantage? The Minnesota Golden Gophers are a very interesting team. They have wins over Wisconsin, Iowa and beat Purdue twice but they also finished with a sub .500 record in the Big Ten at 9-11. The Golden Gophers are led by Richard Pitino, who is the son of legend Rick Pitino. The ironic part about that statement is Minnesota is opening up the tournament by playing Louisville, who just so happens to be the team that fired Pitino due to his connections in the FBI investigation on College Basketball recruiting. There really is no secret to the success of Minnesota. When Amir Coffey scores 18 or more points, they are 12-3 so if you want to stop the Golden Gophers, you must stop Coffey! The Belmont Bruins were cruising right along towards an automatic bid when they ran into Murray State in the OVC Tournament Finals. With the loss, the Bruins were left wondering if they would even make it into the Big Dance! They were selected as one of the “Last 4 In” and will play the Temple Owls to get into the tournament in the “First Four”. This team secured a share of the OVC Regular Season title and that is what basically earned them an at-large berth. The Bruins are not a team that many D-I teams want to play in the regular season so naturally, they are the least favorite team to see in your bracket at #11. They hold the #2 offense in the NCAA and are averaging 87.4 points per game. Dylan Windler is the main scoring threat for the Bruins. Windler is averaging just under 33 minutes per game and scoring an average of 21.4 PPG. If Windler gets going, and gets some help from Kevin McClain (16.3 PPG) and Nick Muszynski (14.9 PPG), this team is a tough out for anyone in front of them. The Temple Owls started off the year with a record of 14-3 in the first 17 games of the year but in the final 15 games of the regular season, they went 9-6. This was a tale of two teams. The one that played early on looked really good and steady but the one that played at the end of the year, really struggled. They have losses on their resume from Penn, Tulsa, Wichita State and Memphis. The Owls have 3 guys on the team that are averaging more than 34 minutes per game. This creates issues once they get into the Big Dance, as they will need to go to their bench often to stay active with the opposition. Shizz Alston Jr leads the team in scoring, averaging 19.7 points per game, followed by Quinton Rose with 16.5 PPG and Nate Pierre-Louis with 13.3 PPG. The Liberty Flames are a 12 seed and you know what they say each year about a 12 beating a 5 seed, well get ready because this team is scary good! They earned their spot in the NCAA Tournament by knocking off Lipscomb Bison by the score of 74-68 as a 7 point underdog in the Atlantic Sun Championship. They are a deep team that can get scoring from many places on the team. The Flames have 6 players on the team that are averaging at least 7 points per game. The Flames beat UCLA this year and also knocked off Lipscombe two times, including that Atlantic Sun Championship game. From a betting standpoint, the Flames are a mixed bag of tricks. 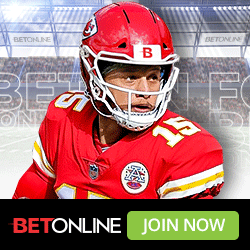 They are 4-0 ATS in their last 4 games against teams with a winning record but don’t let that get you too excited as they are just 5-16 ATS in their last 21 neutral site games. The Saint Louis Billikens are dancing but they are going to have a very tough time advancing past the first round. This team finished in 6th place in the Atlantic 10 Conference and finished their record on the road at 4-8. Not really much to be impressed with about this team. One thing they have going for them is they are led by former Michigan State Star Javon Bess. Bess led the way over Davidson in the A-10 Tournament to get the Billikens into March Madness. The problem that I see with the Billikens is they are very limited. Bess leads the team with 15.3 PPG, while Tramaine Isabell has 13.8 PPG and Jordan Goodwin is averaging 10.6 PPG. Outside of those guys, the team is very limited in production. The Yale Bulldogs are playing in the NCAA Tournament and that isn’t a good thing for any team in the East. Literally, no one wants to play this team right now. Yale punched their ticket by beating Ivy League #1 seed Harvard on Sunday to win the Ivy League Conference Tournament. This will be the 4th time Yale has played in the NCAA Tournament, but their success in the tournament has without a doubt been lacking. They’ve only made it out of the first round one time in four attempts. All eyes in Yale will be on Shooting Guard Miye Oni. He is probably someone that you’ve never heard of but guess what, the kid is good! As a matter of fact, he is so good that he is expected to be an NBA Lottery Pick, which would make him the first Ivy League Player drafted since 1995! Oni is averaging 17.6 points per game and will spread the ball out with over 6 assists per game. Every year it seems that we have that one team that is the “Cinderella Story”. Last year, we had Loyola-Chicago and UMBC but who will it be this year? Bradley is without a doubt one of the top contenders for that accolade. They started out the season 0-5 and looked like they were going to be one of the worst teams in the Missouri Valley Conference but in College Hoops, it isn’t always how you start, it is how you finish that matters. Bradley went on to play tough down the road and went to the MVC Conference Championship, where they were down by 18-points in the game, but came back to win and lock up the automatic seed into the NCAA Tournament. This is the first time that Bradley is playing in the Big Tournament since 2006 but we would not shocked to see this team pull off an upset or two as they have in the past. In 2006, the team knocked off the Kansas Jayhawks and the Pittsburgh Panthers to advance to the Sweet 16. Bradley will rely heavily on their leader Darrell Brown. Brown averages 14.7 points per game and 3.1 assists per game. Brown will be helped out by Elijah Childs, who is averaging 12.2 points per game and is a beast off the glass, where he averages 7.8 rebounds per game. With Bradley, it is more about the defense and less about the offense. They play a man-to-man defensive press and are tough to move the ball around on. They average 8.5 steals per game and are blocking over 7 shots per game. The North Carolina Central Eagles started off the season as one of the worst teams in the MEAC. They went 1-5 in their first 6 games but that stat is a little bit misleading as they played some decent teams in that mix of games. That being said, they do not have one single win over any team in D-I that is playing in the tournament. They faced Clemson, Cincinnati and Bowling Green but were 0-3 against those teams during the regular season. Not much to be optimistic about with the Eagles and not very likely they will beat a 1 seed, even if they make it past the play in game. The North Dakota State Bison barely finished the year above .500 but got into the tournament none-the-less. They are 18-15 and will play UNC-Central in the play-in game. They may beat the Eagles but they absolutely will not get any further. They are limited on talent and and scoring is a commodity for the Bison. There are just 2 players on the team that average double-digit scoring and bowth are under 13 ppg. This team is going to really struggle putting points on the board at this level. Sorry Bison fans, but this is not the UMBC from last year and they will not be knocking off the #1 seed! For the 4th time in 6 years, the Virginia Cavaliers are the #1 Seed in their respected bracket. That being said, much of what you will hear about from Virginia will not be about their successes, but rather them becoming “That team” that lost to the #16 seed last year, UMBC Retrievers. Virginia has the #1 overall defense in College Basketball and all though it didn’t show last year, the defense is what makes them such a physical threat to win the BIG DANCE! Virginia ended up going 29-3 overall with their only 3 losses coming against Duke on two occasions and Florida State in the ACC Tournament. Virginia is not only ranked #1 on KenPom but they are close to being the best-rated team ever in the Kenpom era. The Tennessee Vols spent some time as the #1 team in the country this year and fully expected to make a run for the #1 seed in the NCAA Tournament. That being said, their kryptonite is Auburn and 2 losses to the Tigers in 8 days caused them a drop and a #2 seed overall. Selection Committee Chairman Bernard Muir announced on Sunday Night that had Tennessee won on Sunday, they would have replaced Gonzaga as the #1 seed in the NCAA Tournament. That was great for Gonzaga but frustrating for Tennessee. That being said, this is a very dangerous team and one that can run with any team in the bracket. Head Coach Rick Barnes has this team believing in themselves and has recorded some very high quality wins this season. They've beat Louisville, Gonzaga and Kentucky (two times). They are led by 2 time SEC Player of the Year Grant Williams. Williams is averaging just over 19 points per game and he is not the only player that can take over these type of games. Admiral Schofield is averaging 16.4 points per game and are just two players in a 8-man rotation that will create headaches for their opposition. When Purdue graduated the bulk of their senior class, no one gave this team a chance at any type of success. That being said, Matt Painter has had this team rebound nicely and earn a 3 seed. The Boilermakers were the top team in the Big Ten at shooting the 3-point shot. Carsen Edwards leads the team and is deadly accurate. The Junior Guard is averaging 23.5 points per game and is sort of flying under the radar as a top player in the country. When Edwards is on his game, he can shoot as good as any player in the nation and that means Purdue has a chance in every game they are in! Many of you will recall that last year, the Kansas State Wildcats made it to the Elite 8 and did so without their top talent, Dean Wade. Fast Forward one year and we are again at the forefront of Kansas State entering the tournament and again they may do it without their top star, Dean Wade. Wade has been nursing a foot injury and has been seen walking around in a boot, which isn't good for the Wildcats. The chances of him playing are not very good but he hasn't been ruled out. The reason I say this is because you want to be extra cautious with this team while he is on the sidelines. Kansas State found success without him last year but this year, they are in a very tough bracket and I'm not sure they will be as successful….or even lucky without him on the court. With Wade on the floor, this is a totally different team and one that I can jump on with support….but without him, sorry, I have to fade the Wildcats. The Wisconsin Badgers enter the NCAA Tournament as the hated #5 seed. This is ideally one of those spots that we like to pick on for first-round losses. Ethan Happ leads the Badgers this year. Happ was expected to be in the NBA this year however he pulled out of the NBA Draft and stayed in school at Wisconsin. This year, its safe to say he will move on to the NBA but not before giving his best to lead the Badgers to an NCAA Title. The Villanova Wildcats are the defending National Champions but repeating this year will not be an easy task. The Wildcats lost three first-round draft picks this past year and replacing a group like that is never an easy task. The Wildcats finished on top in the Big East and ended the year on a 3 game winning streak. That is all the good news….now the bad news. The Wildcats were not very good on the road. As a matter of fact, they were downright bad, posting a record of just 5-7 on the road this season. The Cincinnati Bearcats went into the American Athletic Conference Tournament game on Sunday knowing that they probably had to win to get into the Big Dance. They had already lost two times to Houston, including once 7 days prior. With all that said, Cincinnati went in and corrected what caused them their losses in the first two contests against Houston and got the win, securing the AAC Tournament Title. The win punched their ticket as the #7 seed and now, they start with a clean slate under Head Coach Mike Cronin. Cronin has experience in the NCAA Tournament and this guy has quietly made the Bearcats one of those teams that are sneaky in big games, like March Madness! Jaron Cumberland leads the team in scoring and minutes on the court. He is averaging 18.8 PPG and 32.3 minutes per game on the court. Cumberland is the Bearcats top 3-point threat, attempting 197 shots from beyond the arch and is shooting 40% overall from the floor. The Ole Miss Rebels are the 8 seed in the South Region and will have their hands full right out the gate as they face Oklahoma. The Rebels are in their first season under Head Coach Kermit Davis and they have played well enough to earn a spot to showcase their talents in the Big Dance. The Rebels struggled down the stretch, going 2-5 overall in their past 7 games. They must find a way to shake that losing karma and come into the tournament with a clean slate. Breein Tyree leads the team and when he is shoot the ball well, this team can be dangerous! He is averaging 18 points per game and shooting just under 40% from beyond the 3-point line. The Rebels will rely on him heavily in the tournament, as well as Terence Davis, who is averaging 15.1 points per game. These two combined have the shooting capability to be dangerous in March Madness!!! Oklahoma was a bubble team that are lucky to be here playing. They lost their last 2 games of the regular season and ended with a sub .500 record in the BIG 12. They have a very tough matchup against the Ole Miss Rebels in the first round. The Sooners have experience on their side but not really much else. I just don't think that this team can get past the first round and if they do, then they would need to face the Virginia Cavaliers, who would absolutely destroy them with the defense. One way or another, it will be a very short stay in the Big Dance for the Sooners! The Iowa Hawkeyes will be playing in the NCAA Tournament for the 4th time in 6 seasons and 26th overall appearance in March Madness. They qualified in 2014, 2015, 2016 and then had a bit of a hiatus but now return in 2019, where they will look to take out the Cincinnati Bearcats in the first-round of the NCAA Tournament. The Hawkeyes matchup with the Bearcats is a preview of next years non-conference matchup between the two teams. These two have played each other 8 times in the past, with Iowa winning just 2 of the 8 games. The Hawkeyes have wins on their resumes against Iowa State, Michigan, Ohio State and Oregon, all of which are playing here in the NCAA Tournament. One thing that the Hawkeyes have going for them is they were undefeated in non-conference play this year, which is a first since 1987. Many thought that the Gonzaga Bulldogs were potentially unbeatable but the St. Mary's Gaels proved otherwise. They won the West Coast Tournament and eliminated eventual #1 seed Gonzaga Bulldogs. They will now move on to take on the defending National Champion, Villanova Wildcats. The interesting fact about this matchup is Nova is ranked 2nd in the nation in 3-pointers while St. Mary's is 9th in the country in 3-pointers allowed. This is a tale about 3-pointers scored vs. 3-pointers allowed. Are you a offensive type of player or do you favor the defense? When the Oregon Ducks started out the season, they had Bol Bol but that ended in January. They had some major adjustments to take into consideration and change their ways. They had some struggles early but then ended up winning 8 games straight including the PAC-12 Conference Tournament. Oregon should have some revenge on their minds in this game. In 2014 and 2015, the Wisconsin Badgers eliminated the Oregon Ducks from the NCAA Tournament. Will Oregon be able to prevent it being 3 times or will the Wisconsin Badgers prove that they are just too strong for the uncertain Oregon Ducks? The UC-Irvine Anteaters are an interesting team to me. I'm not sure if it is because they are a California College that uses an Anteater as their logo but that is for another day. The fact remains that they are a strong team and play very good defense. The Anteaters are the best defense against teams shooting the 2-pointer. Out of 353 teams in D-I, they hold the lowest percentage against the 2-pointers allowing just 40.6 2-pointers per game. They may be a 13 seed but I assure you that they are not a easy out for any team that will play them. With the way they play defense, they could pose problems for many teams in the big dance! Old Dominion won the Conference USA Tournament and landed in the 14 seed in the NCAA Tournament. They went 13-5 during the regular season in the conference and now open up the tournament against one of the tougher seeds, the Purdue Boilermakers. The Monarchs will turn to Senior Guard BJ Stith, who leads the team in scoring. Stith is averaging 16.9 points per game and has some big time experience as he started his career in college basketball with the 2015-2016 Virginia Cavaliers. He sat out the following year and transferred to Old Dominion, where he has played the past 3 years. Stith led the Monarchs to some bigger wins this year, including one over the Syracuse Orange back in December. In that game, Stith had 18 points and 10 rebounds for a double-double. This team is going to be pumped to play here as it is just their 12th time dancing and their first since 2011.
Colgate is going dancing as the 15th seed in the NCAA Tournament. They are not the greatest team in the tournament by any stretch of the imagination and I won't try to make it sound better than what it is. They can score points, as they are 63rd in KenPom on offense and are shooting 38.3 % from the 3-point line. They are an average team against average teams but against a team like Tennessee, they are going to struggle. Sorry Raiders fans but you have no chance of beating the Vols here in round 1. Gardner-Webb is playing as the 16 seed and they get to be the second 16 seed overall to beat a #1 seed but not just any #1 seed, they face Virginia, who if you recall lost last year as the 1 seed to UMBC. The Bulldogs have some things on their side. They were 2-1 against teams this year from the ACC but the two teams that they beat were Wake Forest and Georgia Tech, two of the worst teams in the ACC. That being said, nonetheless, they beat two ACC teams. Gardner-Webb's offense should pose some interesting matchups for their first-round opponent, Virginia. The Bulldogs use a 4-guard offense and they spread the ball out. David Efianayi leads the team with 18.4 points per game, while Jose Perez is averaging 15 PPG and DJ Laster averages 13.7 PPG. Get a 200% bonus at BetDSI when you open your account with Promo Code SPOOKY200. The Gonzaga Bulldogs are the top scoring offense in College Basketball. They are averaging 88.8 points per game and can score from various spots on the court. They are able to play the outside perimeter game and have the size to get the ball inside and play inside the paint. The Bulldogs are led by their two big guys, Brandon Clark and Rui Hachimura, who combine for nearly 37 points per game. Both of these All-Americans pose issues for most other teams due to their size and their ability to drive to the basket. The Bulldogs lost in the West Coast Conference Tournament to Saint Mary's and that has a big ole question mark hovering above this Gonzaga team. Some people firmly believe that Gonzaga was not deserving of this #1 seed in the West, mainly because they couldn't finish out the regular season strong and therefore aren't deserving of this spot. There are some questions on how motivated the Michigan Wolverines will be heading into the NCAA Tournament. The Wolverines ended their regular season by losing to the Michigan State Spartans in the BIG TEN Conference Tournament which bumped them to a 2 seed in the tournament. In all reality, that is a gift as even with a win and a BIG TEN Tournament Championship, I’m not so certain that this team would have gotten the 1 seed. That being said, this team went to the finals last year and could very well be a team to watch again this year. The Wolverines are getting healthy at the right time, when it counts. Charles Matthews is back healthy now and Ignas Brazdeikis is taking over on the court. The Texas Tech Red Raiders are one of the top defensive units in College Basketball. The Red Raiders have what it takes to go on a deep run in the NCAA Tournament. They are led by Jarrett Culver, who is averaging 18.5 PPG and is slowly becoming one of the top prospects that teams in the NBA are following. The Red Raiders started out hot before running into the Duke Blue Devils and ended the season on a hot streak, winning 9 games straight, but that all came crumbling down as they lost in the first round of the Big 12 Tournament, to a much lesser talented team, West Virginia. The Florida State Seminoles are one of the most interesting teams in the NCAA Tournament. They are winners of 14 of their last 16 games, with the two losses coming against the #1 overall seed Duke Blue Devils and #1 seed North Carolina. The Seminoles play in the ACC, who just so happen to have locked down 3 of the 4 #1 seeds in the NCAA Tournament. This team has experience on its side and they are deep! Much deeper than the oddsmakers are giving them credit for. They have wins over Florida, LSU, Purdue, Louisville, Virginia Tech and Virginia. They have shown time and time again that they can not be looked past and knowing that this squad already has a #1 seed winner under their belt, with Virginia in the ACC Tournament, means that we must take them seriously! The Marquette Golden Eagles are going dancing once again, for the second time under the Steve Wojciechowski regime. This was Wojo’s best year with the Golden Eagles, and the team came within 1 game of winning the Big East Regular Season Championship. The Golden Eagles need to be careful as they have not really played well lately and are the dreaded 5 seed. The Golden Eagles have lost 5 of their last 6 games overall, which included a 4-game losing streak to end the regular season. The Golden Eagles will be led on the court by Big East Player of the Year, Junior Guard Markus Howard. Howard is an absolute monster and is capable of putting this team on his back and carrying them to wins along the way. He is the first Marquette player to win the Big East Player of the Year award since Jae Crowder. Howard is averaging 25 points per game, which is one of the highest averages among all players in the 2019 NCAA Tournament. The Buffalo Bulls are one of, if not, the hottest teams in the country! They can play offense and they can play defense! They can shoot the ball outside and they can shoot the ball in the paint. So what can't this team do? They have one of the most sought after Head Coaches in all of College Basketball in Nate Oats and realistically, this could be his last run with the Buffalo Bulls. Most experts in College Hoops feel that when the Buffalo Bulls season comes to an end, Oats is going to be one of the top 2 or 3 candidates for some of the bigger D-I coaching vacancies. This team has been good this year but it isn't just this year that the Bulls have found success. If you recall, the Bulls went out and upset the Arizona Wildcats last year in the NCAA Tournament. This year, the Bulls come into the Big Dance with a 12-game winning streak and their only 3 losses this year came against Bowling Green, Northern Illinois and Marquette. CJ Massingburg is the wheel that keeps the Buffalo vehicle moving. Massinburg is a star and one of the most talented players on the court. Massinburg has experience playing here in the big show, as the Bulls upset the Arizona Wildcats on Massinburg's 19 point performance. The Nevada Wolfpack are playing in their third straight NCAA Tournament and their ninth overall in the history of the school. The Wolfpack were very strong during the regular season, where they went 29-4 and won a share of the Mountain West Conference Championship. The Wolfpack remained ranked inside the Top 25 this season from start to finish and were looked at as one of the best teams in basketball. Head Coach Eric Musselman has proven that he is one of the best Coaches in the country, and in his short 4-year term as Head Coach in Nevada, he has compiled a record of 110-33. The Wolfpack went to the Sweet 16 last year and are hoping that Wolfpack brothers Caleb and Cody Martin can lead this team past not only their opponents in the first round, Florida Gators, but also past their previous finish with the Sweet 16. Syracuse sort of played average this year. Many early season experts projected that they would finish in the top 3 of the ACC however the talent just never measured up to the expectations and Jim Boeheim had his issues getting this team squared away. Boeheim is in his 43rd season in College Basketball, so needless to say if anyone has the experience and wisdom to get a team amped up to play, it is Boeheim. Boeheim's Orange have not lost a first-round game since 2006 and have made the Sweet 16 in 6 of the past 8 times that they've played here. That being said, they have their hands full with the Baylor Bears, who at times looked like a top caliber team in the NCAA. The Baylor Bears are just happy to be in the NCAA Tournament. They ended up just 2 games above .500 in Big 12 Conference play and for me, that isn't very good. The Big 12 wasn't a very strong conference this year and with the exception of a few teams, the conference as a whole just wasn't very impressive. The Bears lost 3 of their last 4 games overall on the road, and now head out to play on the road in the NCAA Tournament. Scott Drew is in his 16th season as the Head Coach of the Baylor Bears but even with his experience, I don't think they can overcome the injuries on this team. It is a safe bet that the Bears are going to be eliminated early on in the tournament. Will they get eliminated in the first round? I am not 100% certain but leaning that way. The Florida Gators are going dancing for the third straight season in Head Coach Mike White’s 4-year tenure. This team will not be one that is popular among advancing far into the tournament however they should not be taken lightly. This team has already shown that they can play with the elite level of competition this year. Florida has a win over LSU and nearly knocked off Auburn in the SEC Tournament. This is not a team that anyone wants to see pop up on their schedule and if they can get past the first round, which happens to be against Nevada, then they may be in for a long run in the 2019 NCAA Tournament. The Gators are deep and the team has plenty of scorers on the roster but ironically, none of them are averaging double-digit scoring through the regular season. The Arizona State Sun Devils will be playing in their 15th overall NCAA Tournament and the second in a row under Head Coach Bobby Hurley. This is the first time that Arizona State will be playing in back to back March Madness Tournaments since 1980-1981. The Sun Devils were part of the “Last 4 In” for the second straight year, which basically means in order to actually play in the March Madness Tournament, they will need to win their play-in game on Wednesday Night against St. Johns. The Sun Devils won 6 of their final 8 games of the season and went on to the PAC-12 Semifinals, before losing to eventual PAC-12 Conference Tournament Champions, Oregon Ducks. The player to watch for Arizona State is Senior Forward Zylan Cheatham. Cheatham wasana All-PAC-12 First Team Player that led the PAC-12 in rebounds this year. Cheatham will get help on the court from Freshman Lugentz Dort, who led the team in scoring average. Dort scored an average of 16-1 points per game and was named the PAC-12 Freshman of the Year in 2019. You really don’t know which St. John’s team will show up to play in the “First Four”. Will it be the team that beat VCU, Marquette and Villanova or will it be the team that lost five of its last seven games overall, nearly playing themselves out of the tournament all together! Many people entering the season felt that St. Johns had the talent to run away with the Big East but instead, they ended up going 2 games under .500 in the conference. Don't be fooled, this team is still dangerous, especially as a 11 seed. They have wins over Villanova, VCU, Seton Hall and Marquette so the experience is there. Murray State knew that in order to guarantee a spot into the Big Dance, they would need to beat Belmont in the Ohio Valley Conference Tournament Finals and that is exactly what they did. Murray State had already lost once to Belmont this year by the score 79-66 but that didn’t stop them from playing at their best and taking out the Bruins in the OVC Finals by the score of 77-65. The Racers are now riding an 11 game consecutive win streak and enter the tournament as a 12 seed. We all know how 12 seeds do in the NCAA Tournament. They haven't lost since January and knowing they are playing a team in Marquette in the first round, who has lost 4 of the last 5 games overall, would make them a high probability for an upset in the making. The Racers will lean on leading scorer Ja Morant in the tournament. Morant is averaging 24.6 points per game. If there wasn't a kid in basketball by the name of Zion Williamson, Morant would most likely be the #1 pick in this years NBA Draft. Over the past few years, we've become fond of Vermont. They are a tough witty team that has proven that they can play with the best teams in the country. They nearly beat Kansas and also nearly beat Louisville, both of which are very tough teams. The Catamounts are led by one of the best players in the country, Anthony Lamb. Lamb scored 24 points against Kansas and also scored 25 against Louisville. He is the leading scorer on Vermont and if teams don't have a means of defending him, they will quickly find out that he can single handily beat them. Lamb is not your conventional forward. He is rather small at 6'06 230-pounds but he is strong and getting on the inside and battling in the paint just hasn't been an issue. The Norse will be playing in the NCAA Tournament for the second time in three years. That isn't bad for a team that has only been in D-I since 2016. The team will lean heavily on one player, Horizon Player of the Year, Drew McDonald. McDonald is probably not on your radar but he should be! This kid is good and can shoot the ball. McDonald is a senior and will be playing in his final games for Northern Kentucky. He is a half a rebound shy of averaging a double-double on the season. McDonald has 19 ppg and 9.5 RBG this year and if you are playing DFS during March Madness, you have to consider him! He scored 13 double-doubles in the regular season and it wouldn't shock me to see him post on in the opener of the Big Dance! The Grizzlies have been beaten up on injuries this year but they still managed to make it back to the postseason. This is the 4th time in 8 seasons that Montana is playing in the NCAA Tournament. Montana will rely heavily on outscoring their opponents but that will not be an easy task as they are playing the Michigan Wolverines in the first round. The Wolverines are an all-around better team and the only way I can potentially see an upset here would be for Montana to run the score up into the upper 80's and make Michigan score with them. As long as Prairie View is shooting free throws, they are fine but if they start fouling their opponents more, then they find trouble. The Panthers play a physical game and have recently found themselves in foul trouble, with the opponents spending a significant amount of time at the free throw line. This team won 21 of their final 22 games but don't get too excited, that was in the SWAC, which was one of the worst conferences in the country! Don't get too cute here, the Panthers are not going to beat a #1 seed. This team probably shouldn't even be considered to play in March Madness but it is what it is. They are going up against Prairie View in the Play-In game and that is about as far as they will get. They simply are not very good and not really much to write about with this team. Trust me when I tell you, this team WILL NOT beat the #1 seed. Get a 100% Bonus when you open a new WagerWeb Account using Promo Code AF6422. You can never count out the North Carolina Tar Heels. The Tar Heels are the #1 seed in the Midwest and will be looking to secure their second NCAA Title in 3 years. This is a very talented team that also provides some experience on the court. They are able to play inside the paint as well as around the perimeter. They can go inside and kick it outside to those perimeter guys and most importantly, have a talented set of players that make running the floor appear easy. Cam Johnson is shooting 47% from beyond the 3-point line. He is an absolute benefit to this team and one of the best shooters coming out of the ACC. With Johnson shooting from the outside, and Luke Maye filling up space in the paint, this team is one that we must consider for making a very deep run. In addition to Johnson and Maye, they also have Nassir Little and Coby White, who could rise up and take over the game in the March Madness. This team is deep, experienced and able to score from multiple spots on the court. The Kentucky Wildcats started out the season as a young team but have grown as the season progressed. Coach John Calipari has really done an amazing job with this team and even though in the record column, they may not appear all that great, with what Calipari has done this may be his best job to date! This team lost to Duke by 34 points early in the season to kick off their schedule. I can assure you if that game was played again today, the results of that game would be much closer and tightly contested. The Wildcats have wins over Louisville, North Carolina, Kansas and Tennessee. Those wins came later in the season when Kentucky had gotten their feet under them and grown with experience. PJ Washington leads the team with 14.7 PPG. He has made 42% of his 3-point attempts and has a supporting cast around him that can share the starlight when needed. If any team is feeling bad about their seeding, it is the Houston Cougars. The Cougars went into the AAC Championship game knowing if they won, they would end their season with 32 wins and most likely a #1 seed. They did not, however, win on Sunday and thus ended up with a 31-3 record overall, which had the selection committee placing them in the 3 seed. The squad was pretty much one of the strongest teams in the country all season long, however, they really never gained the respect that they deserve. This team proved time and time again that they are among the best in the country however they still ended up falling to the 3 seed. They have wins on the resume over Cincinnati 2 times this year, LSU Tigers, Utah State Aggies and Oregon, who just won the PAC-12 Tournament Title. With one of the best defensive schemes in College Basketball, led by one of the best basketball brains in the country in Kelvin Sampson, this team is not only capable but expected to make a deep run in March Madness! If you would have asked me my honest opinion on this team when the season started, I would tell you that with all the off-court issues, this team would struggle to make the Big Dance. There was recruiting scandals, major injuries to their top two players and constant media type issues surrounding this team. That being said, Coach Bill Self found a way to keep this team around and competitive. The Jayhawks lost their big man, Udoka Azubuike early in the year to a season-ending injury and to make matters worse, they also lost Lagerald Vick, who was at the time the teams best shooter. That left Bill Self looking for a way to win and a player on the squad that would step up and takes over as the leader! Enter Dedric Lawson. Lawson has turned into one of the biggest surprises in College Hoops this year. Lawson is averaging double-double figures for scoring and rebounding with 19.2 PPG and 10.4 Rebounds Per Game. The Auburn Tigers are one of the hottest teams in the country! They've won 8 games in a row including two wins over Tennessee, a win over Florida and a win over Mississippi State, all of which are high-level teams playing in the NCAA Tournament. The Tigers are successful when Guard Jared Harper is playing good basketball. He is the leader of this team and has shown that he is as good as any Guard in the country. Harper is shooting 38% from the 3-point line and that could be big for the Tigers in clutch time. In addition to Harper, Bryce Brown is another player that teams need to be aware of when planning to play Auburn. Brown is averaging 40% from the 3-point line and has the ability to take over games with his deadly accurate shooting. When you look at the Tigers in a whole, they are a very exciting team. They lead the SEC in 3-point shooting and in the NCAA Tournament, that is a HUGE benefit! Iowa State has had its ups and also had their downs. They have had their good moments and had their bad times. They have beaten the likes of Kansas, Texas Tech and Kansas State, yet lost games to Texas and West Virginia. We really don't know which team will show up and which team we will have playing at any given point in time. Marial Shayok leads the team with 18.7 PPG. Shayok is one of four players on the team that is averaging double-digit scoring. This team may win one game but much more than that is expecting a miracle, with the teams in this bracket. If you have been with us throughout the season here at Spooky Express, you know that we’ve been big on the Wofford Terriers since day 1. This team is one of the best teams in the tournament and without a doubt one of the best mid-major schools in the country. The Terriers have the longest winning streak in the country at 20 games and this team is not to be looked at as one of those “Mid-Major” teams that play in the tournament. This squad is as deep as any in the tournament and possess one of the best 3-point shooters in the game in Fletcher Magee. The Selection Committee ranked the Terriers as a 7 seed however I think they are actually lower than they should be. If you look at their current ranking in the AP Poll, 20th, and break that down over 4 locations, it would tell us that Wofford should in all reality be a 5 Seed. The Utah State Aggies are one of the least looked at teams in the tournament. Most people do not know much about them and will skip over them as an easy out. Those people are sadly mistaken. Utah State is an experienced team that is coached well. Craig Smith is the Head Coach of the Aggies but this is his first season with the team and no one knows how his team will react in March Madness. Smith will do everything he can to make sure this team stays grounded and uses their strengths to get them past the first round. This team lost by 20 points in the PAC-12 Tournament to Oregon so most people that pick their brackets will cross them off as being able to advance deep into the Big Dance however ignoring them would be a huge mistake. You have to give these guys credit as they were one of the best teams in the PAC-12 throughout the season. Now, there are those that will say that the PAC-12 was one of the weakest conferences in the country but the fact remains that they went 15-3 in conference play. I think their first round matchup is very interesting as they will face the Utah State Aggies, who are another team that people are going to ignore. That matchup will be one of the most entertaining and interesting matchups in the first round. I truly believe that this matchup will be the one that causes the most people to drop a game in the first round. 50% will have Washington and 50% will have Utah State? It is truly a coin flip on who wins this game right now. Seton Hall is a physical team led by one of the most exciting players in the country in Myles Powell. Powell is one of the most accurate shooters in the country and when he gets hot, he can dominate the rim. Powell is relatively unheard of in the public eye but I'm telling you, while watching this guy, he is legit and the real thing. If Seton Hall is going to win in their first-round contest, they will need Powell to be strong and be accurate. They can not win without him and they can't be competitive unless he is on his game. The Buckeyes started out 12-1 but fell apart down the stretch. They are a defensive oriented team that relies heavily on their physical presence in the paint. The Buckeyes will be playing in their second straight year in the Big Dance. If this team can get back to the way they played early in the season, they can contend but if they play in the tournament like they played at the end of the season, this team will be a one and done! Chris Jans is in his second season as the Aggies Head Coach and he is looking to prove that just because they play in a weak conference, does not take away from the fact that this team is talented. This is the second straight year that Jans has led the Aggies to the Big Dance. They went 15-1 in conference play this year and they did it without a real star. They are an even leveled team that spreads the ball out among their roster. The Aggies come into the tournament with a ton of momentum, as they are riding a 19 game winning streak and are looking for a big 12 over 5 upset in the first round. The Northeastern Huskies beat up on the top seed in the Colonial, Hofstra, to advance to the NCAA Tournament. This is the first time in 4 years that the Huskies will get a chance to go dancing and they are looking to make the most of it. The Huskies have a very nice combination of size, speed and shooters. With the way this team looks on paper, I expect a lot of people will pick them as an upset. The truth be told, they are facing Kansas, a school known for basketball, and the chances of beating them is slim to none! The Georgia State Panthers earned a spot in the Big Dance by winning the Sun Belt Tournament. They are guided by 8th year Head Coach Ron Hunter, who knows how to win close basketball games. They are a defensive oriented team that dares their opposition to come inside. When teams try to go and play with the Panthers in the paint, they get dominated. Panthers are blocking shots at a clip of 4.8 per game. They are also forcing 15.2 turnovers per game, making them one of the best defensive teams in the tournament. The problem with that scenario is they are playing Houston in round 1 and Houston is a better defense! The only hope for Georgia State is that Houston has a sour taste in their mouth and just don't show up after losing the AAC Tournament to Cincinnati and costing them a #1 seed. The Abilene Christian Wildcats will be playing in their first-ever NCAA Tournament. That really isn't saying too much because the school has only been around in D-I for 6 years. They took advantage of playing in a weak division this year and went on to go 14-4 in their division. They are a very defensive unit that is 8th best in the country at forcing turnovers. Not only do they turn the ball over really well but they also can play some perimeter play as they come in with the 19th best percentage for 3-point shots. Ioan won the MAAC this year and earned a 16 seed in the Big Dance. They played in one of the worst conferences in the country in the MAAC but a tournament win is a tournament win. The Gaels are led by Tim Cluess, who is in his 9th season as the head coach of the Gaels. Under Cluess, the Gaels became the first team in MAAC history to win four consecutive conference tournaments. They are riding a 10-game winning streak and are hot. That being said, no chance they beat the #1 seed Tar Heels so call it a quick run for the Gaels! 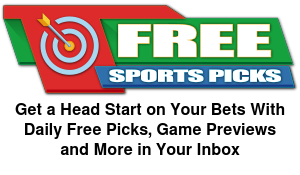 BetDSI – Our friends over at BetDSI are always one of the best places to wager on March Madness! They have bonuses up to 200% and if you make your deposit via Bitcoin, they will give you an extra bonus! Set yourself up an account today and use promo code: Spooky200 to be eligible for all of Spooky Express's exclusive bonus features! Intertops – The fine folks over at Intertops are gearing up for March Madness this year and offering 100% bonus up to $500 and also an additional $50.00 FREE with your first deposit! That is right, make a deposit for March Madness and they will throw in an additional $50.00! WagerWeb – My buddies over at WagerWeb are excited for the BIG DANCE and are offering you 100% FREE PLAY bonus or a 55% CASH bonus on all deposits that you make for March Madness! Also, when you win those big tickets, and want to cash out, they are offering FREE Bitcoin Payouts, which is huge for saving those extra fees for requesting payouts. 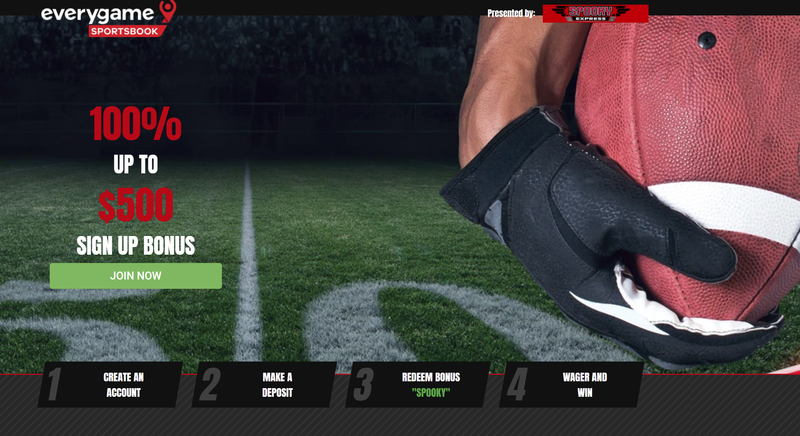 The GRANDDADDY OF THEM ALL this year for Bracket Challenges is over at MyBookie! MyBookie is the host of the $50,000 March Madness Bracket Challenge. Each entry to play is $15.00 however if you sign up for a new MyBookie account using promo code: SpookyMM, they will give you a complimentary entry….100% for FREE! Check out some more info below about the contest and sign up today! Brackets are LIVE! This is the first year for the SpookyExpress.com CBS Sports March Madness Bracket Contest. We already have over 200 people playing and the list keeps growing! This contest is FREE to play, and each person is entitled to two entries! Sign up HERE and get started playing against the over 200 of Spooky Express’s most loyal readers!